The Monster Energy NASCAR Cup Series doesn’t get any more competitive, any harder fought than at Kentucky. The Quaker State 400 presented by Walmart is recognized as one of the best battles on the circuit, and returns for the ninth time on Saturday, July 13, 2019 . Adult tickets start at just $59 and Kids 12 & Under are $10. Up to two $10 Kids Tickets per paid Adult Ticket. Excludes premium seating. Buy now with confidence with our Speedway Motorsports Weather Guarantee. Action Jackson Sports Tours has been offering quality race travel packages at affordable prices since 1988. Our Kentucky Speedway NASCAR travel packages include choice of Covington or Louisville hotels, premium tower race tickets to the Quaker State 400 presented by Walmart, full breakfast daily, round-trip chartered bus transfers to Kentucky Speedway from your hotel, experienced tour representative onsite and more. Optional race-day enhancements include scanner and FanVision rentals along with FanZone hospitality passes. Packages without tickets are available if you have our own race tickets. Action Jackson is a full-service travel agency and is happy to assist its customers with airfare and rental car needs. Let Action Jackson take the hassle out of planning your next NASCAR vacation! RallyBus can fulfill complete travel needs for fans visiting our July 14 Monster Energy NASCAR Cup Series Quaker State 400 presented by Walmart, July 13 NASCAR XFINITY Series Alsco 300 and July 12 NASCAR Camping World Truck Series Buckle Up in Your Truck 225. Book your seat for travel on a high-end bus free of the hassles of driving, parking, or navigating traffic. Travel is better together with Rally! 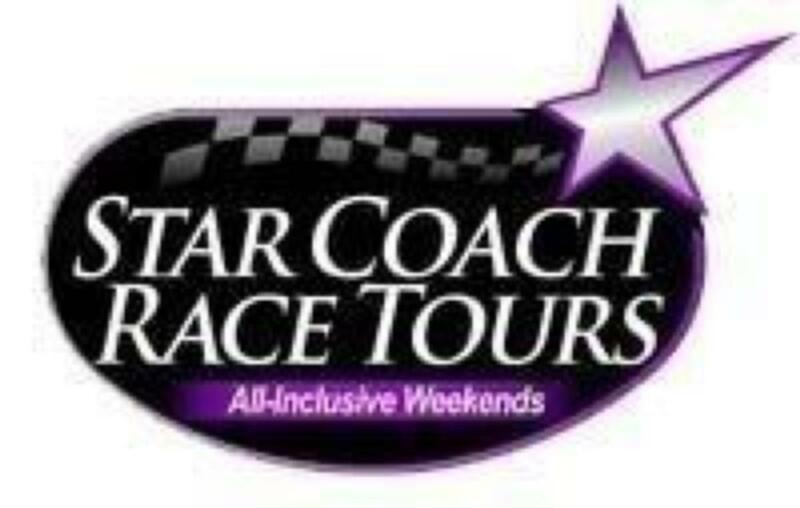 Star Coach Race Tours specializes in providing turn-key all-inclusive race weekends. We provide infield accommodations at the track in our fleet of luxurious motorhomes. Packages include accommodations, food, beverages, infield admission tickets, and airport transfers. We are the perfect solution for a family vacation or corporate event. Don't work on your vacation, leave the planning to us. There And Back Again Adventures is a Proud Travel Partner of Kentucky Speedway. Our Travel Packages include excellent tickets in your choice of grandstands or towers, great hotels in your choice of Louisville or Cincinnati, deluxe bus transfers to the track, full breakfast daily, knowledgeable & experienced tour representatives at the hotels and on the buses, and other race day options to enhance your experience such as Fan Zone Passes and Scanner or Fanvision rentals. Our Customer Service and Quality emphasis has allowed us to service race fans for over 30 years, since 1988. One call does it all. We are members of the National Tour Association, American Bus Association and the American Society of Travel Agents. We offer packages to all NASCAR races, Indy 500 and are a full service travel agency.